Looking for a perfect premium quality free WordPress Newspaper Theme to endeavor your web publishing through a newspaper or magazine website? Econews will serve your purpose in all respects whether you are going to create your website for news or magazine issuing fashion and beauty, lifestyle, technology or sports news etc. You can build your website specialized in these individual niche categories or accumulate them all in one. Econews – Free WordPress Newspaper Theme comes with a whole bunch of numerous features that you can utilize to perfectly cover the different aspects of online publishing. Econews essentially builds on WordPress which is the most renowned content management system for website maintenance. The most used CMS is very easy to work with for its comprehensive and intuitive features. Primarily based on web publishing, WordPress effectively executes the task of posting contents with texts, images and other media in less effort than other CMSs. Econews – Free WordPress Newspaper Theme therefore offers the same flexibility and usability in terms of publishing the contents for news or magazine comprising with texts, graphics, videos or other multi-media. Who Is This WordPress Newspaper Theme Useful For? 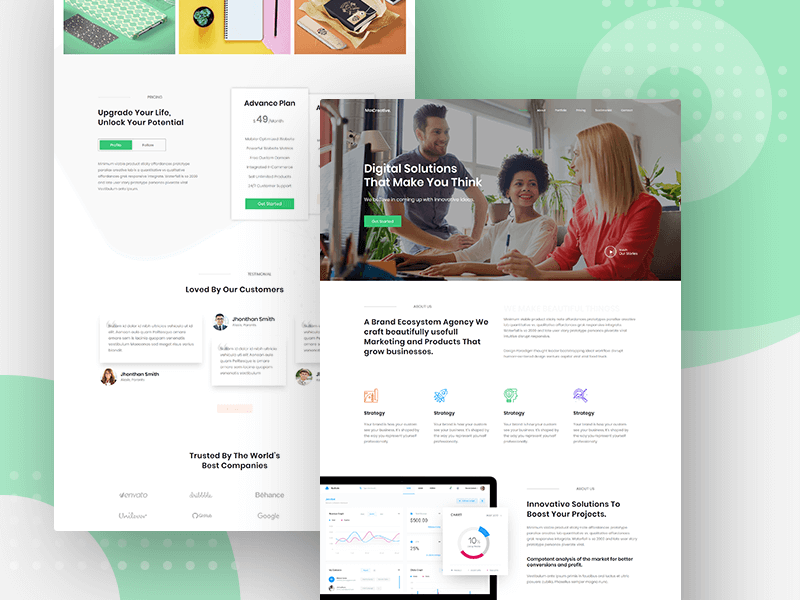 Web publishing media or entrepreneurs who want to publish news online by the means of a website will find this WordPress theme exclusively useful. The theme is exclusively crafted for the publishing agencies who deal with contents on different news categories such as beauty-fashion-lifestyle, sports, health and fitness, current issues, popular buzz etc. They can arrange and organize their aspects of interests through the means of varied features integrated in Econews – Free WordPress Newspaper Theme. 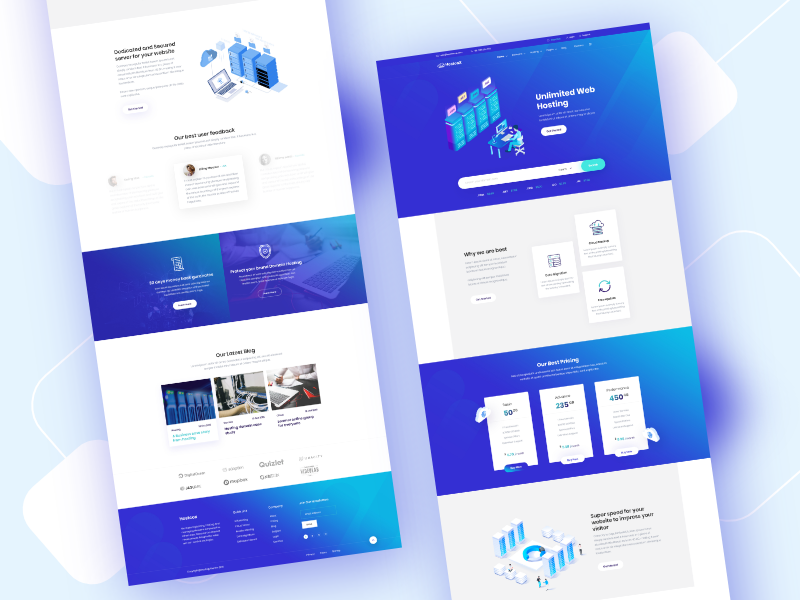 The theme is ideally designed for the best front-end showcase of the contents in order to ensure the maximum usability and accessibility for the audience. Econews is rich with numerous remarkable features thought out and idealized by the industry level experts who designed and crafted the theme from the scratch and developed it to the most meaningful demo. The Econews contents are blessed with the modern and trending features that are ubiquitous in the arena of news and magazine publishing industry. The Econews – Free WordPress Newspaper Theme stunning contents are incorporated in such a manner that they offer the best user-experience in terms of access from diverse device and browser platforms. 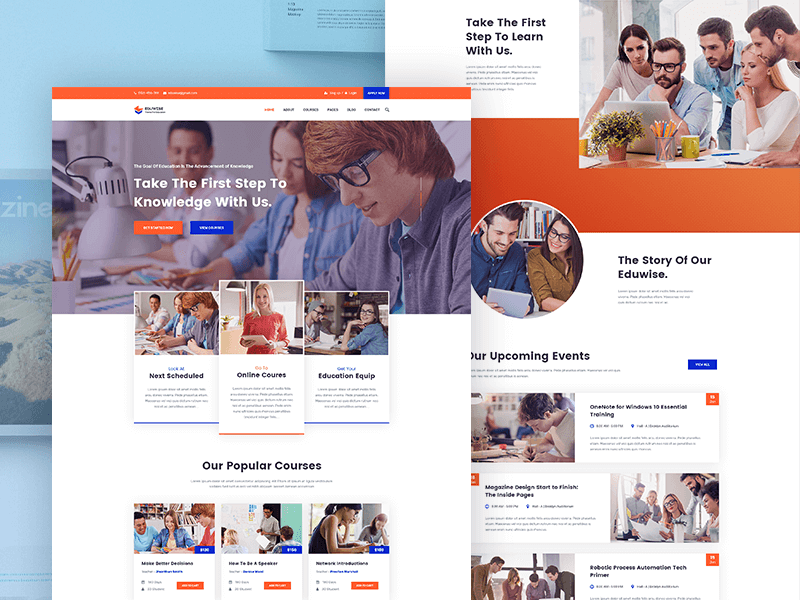 Modern elegant design with the sophisticated arrangement of theme components with perfect UI elements integration took the publishing trend to the next level. Besides, all the necessary requirements in terms of back-end development are met with the highest web standard. In addition, being built on WordPress, the Econews files are standardized to their best degrees and are most acknowledged as to allow further customization and development of the contents. Consequently, Econews – Free WordPress Newspaper Theme is ended up with a unique front-end for the users to enjoy the best user experience as well as a convenient back-end for the developers to customize its contents to suit their needs as to create their very own online newspaper or magazine website. Following are a few of the stunning features of Econews that are discussed in brief only to cover the core aspects of the theme. 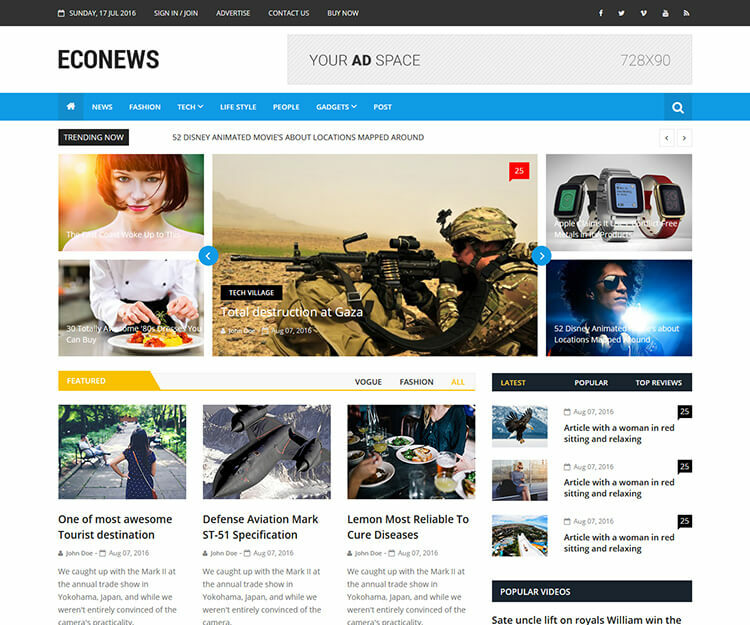 News/Magazine Theme Developed in WordPress – Econews is developed in WordPress, the most powerful and the most used Content Management System for website creation, blogging and publishing. The easiest-to-use tool is widely recognized as the most well-architectured system for personal publishing, news outlets, e-commerce management etc. Econews, being a WordPress theme, serves the purpose of publishing contents with all the necessary categories, tags, and links at ease and can be managed effortlessly. The software script can be downloaded free from WordPress.org and can be installed in your server. Then you can install Econews – Free WordPress Newspaper Theme as easily as with other themes. However, you can see how to install WordPress on live server and change the theme with a new one on YouTube. Besides, there are popular server businesses like Bluehost, Hostgator or GoDaddy that allow one-click install for WordPress. 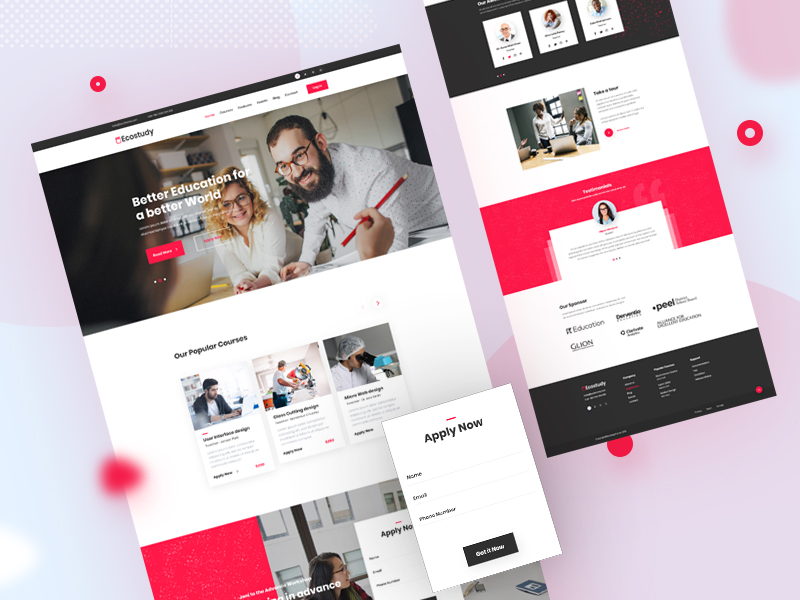 Responsive Templates Designed in Latest Bootstrap – In the mobile-first world, it is essentially important for you to ensure your news or magazine site to be responsive to popular smart devices. Econews templates have also been crafted with that trend in mind. As designed in the latest version of Bootstrap, Econews – Free WordPress Newspaper Theme offers the maximum responsiveness towards various devices like smartphones, tablets, laptops or desktops and to their different screen sizes. Moreover, the responsive features of WordPress have just added that functionality to the fullest. Distinctly Categorized Contents with Varied Components – The Econews elements are distinguished with categorized elements so that the resources are intuitive and the required piece of information can be easily located. 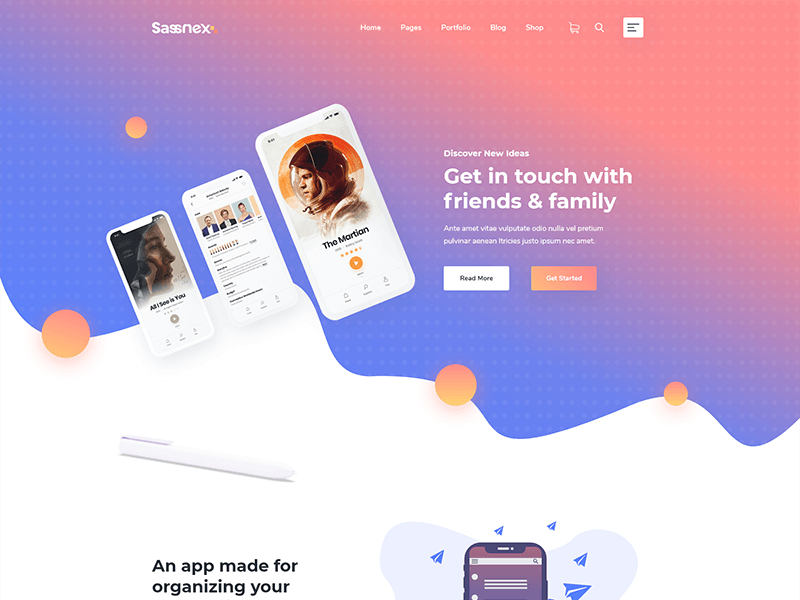 The distinctive contents are accumulated and organized in the homepage in a manner that they are meant to be efficiently interactive with the audience. Moreover, the categories are set apart with their individual pages where respective contents are integrated in a new arrangement. Again, the constituent components are mostly typographic with relevant visual elements like slides, graphics, videos, buttons and icons etc. 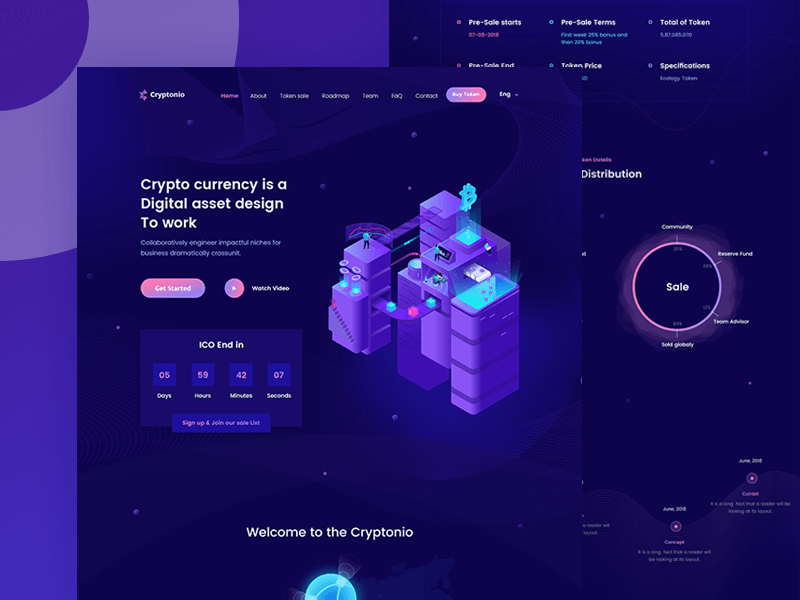 Comprehensive and Intuitive Navigation – The users are allowed to navigate through the website with the convenient ways switched with different levels of navigation. The Econews navigation is designed in the most comprehensive and intuitive way that offers the users with an effectively flexible usability.The Econews – Free WordPress Newspaper Theme Categorized and sub-categorized contents are made accessible through various means like menus, links, tags etc. Cross Browser Compatible – The Econews demo has been tested in several devices and browsers to ensure that it appears equivalently in all of them. The website built with Econews – Free WordPress Newspaper Theme will engage multi-platform users only to take your blogging and publishing experience to new level. Socially Communicative and Engaging – All the popular networks are integrated in Econews – Free WordPress Newspaper Theme to allow the maximum level of engagement and communication. So the contents are highly likely to reach the highest possible number of audience in order to expand your niche community. Search Engine Friendly – The Econews elements are efficiently optimized for the popular search engines so that the contents can be easily crawled and indexed by them. The importance of having the news or magazine materials optimized for search engines is beyond question. And Lot More – Econews – Free WordPress Newspaper Theme comes with many more compelling features to take your news blogging experience to another level.